Scotland’s first Indian seafood restaurant has opened in Edinburgh. Named after the Konkan region of India, which is famed for its fish and shellfish specialities, Konkana features fresh Scottish produce cooked with authentic Indian spices. 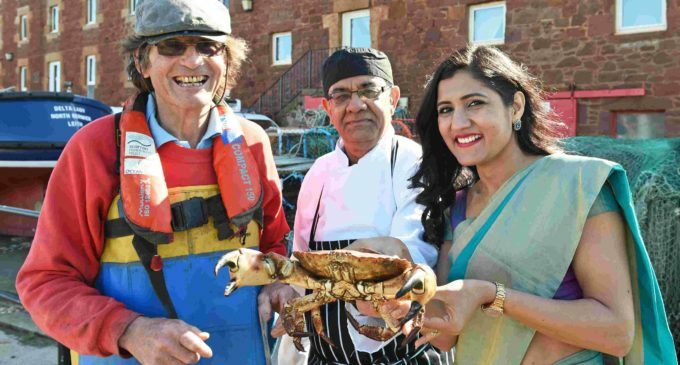 Owner Sheela Bhosale said: ‘India has a coastline extending to 7,500 kilometres so it seemed natural to highlight this by combining Indian ingredients and techniques with fish and shellfish caught locally around Scotland’s shores and in its seas and rivers. Executive chef Anand Sehgal has 35 years’ experience, including working at Edinburgh’s Oloroso and restaurants in Singapore, Indonesia, New Delhi and Jaipur. Mrs Bhosale also owns the long-established Indian vegetarian restaurant Kalpna in the capital’s St Patrick Square.